Match ends, Napoli 1, Paris Saint Germain 1. Second Half ends, Napoli 1, Paris Saint Germain 1. Substitution, Paris Saint Germain. Eric Maxim Choupo-Moting replaces Thilo Kehrer. Neymar (Paris Saint Germain) is shown the yellow card. Foul by Marek Hamsik (Napoli). Attempt missed. José Callejón (Napoli) right footed shot from outside the box misses to the left. Assisted by Piotr Zielinski. Attempt missed. Kylian Mbappé (Paris Saint Germain) right footed shot from the centre of the box misses to the left. Assisted by Thilo Kehrer. Substitution, Napoli. Adam Ounas replaces Dries Mertens because of an injury. Delay in match Dries Mertens (Napoli) because of an injury. Attempt blocked. Thilo Kehrer (Paris Saint Germain) left footed shot from outside the box is blocked. Assisted by Kylian Mbappé. Substitution, Paris Saint Germain. Edinson Cavani replaces Ángel Di María. Substitution, Napoli. Elseid Hysaj replaces Nikola Maksimovic. Substitution, Paris Saint Germain. Presnel Kimpembe replaces Thomas Meunier. Substitution, Napoli. Piotr Zielinski replaces Fabián Ruiz. Goal! Napoli 1, Paris Saint Germain 1. 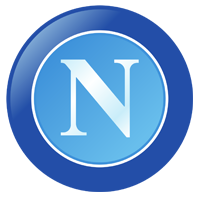 Lorenzo Insigne (Napoli) converts the penalty with a right footed shot to the bottom left corner. Penalty Napoli. José Callejón draws a foul in the penalty area. Attempt saved. Neymar (Paris Saint Germain) header from the centre of the box is saved in the top right corner. Assisted by Juan Bernat with a cross. Foul by Nikola Maksimovic (Napoli). Attempt saved. Dries Mertens (Napoli) right footed shot from outside the box is saved in the centre of the goal. Attempt blocked. Allan (Napoli) right footed shot from outside the box is blocked. Assisted by Nikola Maksimovic. Attempt missed. José Callejón (Napoli) right footed shot from the right side of the six yard box misses to the left. Assisted by Lorenzo Insigne with a cross following a corner. Attempt missed. Fabián Ruiz (Napoli) left footed shot from outside the box is close, but misses to the right. Assisted by Dries Mertens. Corner, Napoli. Conceded by Thiago Silva. Attempt blocked. José Callejón (Napoli) right footed shot from the right side of the box is blocked. Assisted by Dries Mertens. Corner, Napoli. Conceded by Thilo Kehrer. Attempt missed. Fabián Ruiz (Napoli) left footed shot from outside the box is too high following a corner. Corner, Napoli. Conceded by Neymar. Corner, Napoli. Conceded by Gianluigi Buffon. Attempt blocked. Fabián Ruiz (Napoli) left footed shot from outside the box is blocked. Assisted by Lorenzo Insigne. Attempt saved. Dries Mertens (Napoli) right footed shot from outside the box is saved in the centre of the goal. Assisted by Nikola Maksimovic with a cross. Attempt missed. Nikola Maksimovic (Napoli) header from the centre of the box is too high. Assisted by Dries Mertens with a cross following a corner. Foul by José Callejón (Napoli). Second Half begins Napoli 0, Paris Saint Germain 1. Fabián Ruiz (Napoli) is shown the yellow card. First Half ends, Napoli 0, Paris Saint Germain 1. Goal! Napoli 0, Paris Saint Germain 1. Juan Bernat (Paris Saint Germain) right footed shot from the centre of the box to the bottom right corner. Assisted by Kylian Mbappé. Attempt blocked. Lorenzo Insigne (Napoli) right footed shot from the centre of the box is blocked. Assisted by Nikola Maksimovic. Corner, Napoli. Conceded by Juan Bernat. Attempt missed. Mário Rui (Napoli) left footed shot from outside the box misses to the right following a corner. Corner, Paris Saint Germain. Conceded by David Ospina. Corner, Paris Saint Germain. Conceded by Kalidou Koulibaly. Hand ball by José Callejón (Napoli). Thilo Kehrer (Paris Saint Germain) is shown the yellow card for a bad foul. Attempt missed. Fabián Ruiz (Napoli) left footed shot from outside the box misses to the right. Kylian Mbappé (Paris Saint Germain) is shown the yellow card for a bad foul. Attempt missed. Dries Mertens (Napoli) right footed shot from the left side of the box misses to the left. Assisted by Mário Rui with a cross following a set piece situation. Attempt missed. Kylian Mbappé (Paris Saint Germain) left footed shot from the left side of the box is close, but misses the top right corner. Assisted by Neymar. Attempt blocked. Dries Mertens (Napoli) right footed shot from the right side of the box is blocked. Assisted by Allan. Corner, Paris Saint Germain. Conceded by Mário Rui. Hand ball by Julian Draxler (Paris Saint Germain). Attempt missed. Dries Mertens (Napoli) right footed shot from more than 35 yards misses to the left. Attempt blocked. Marco Verratti (Paris Saint Germain) right footed shot from the centre of the box is blocked. Assisted by Neymar. Attempt blocked. Kylian Mbappé (Paris Saint Germain) right footed shot from the left side of the box is blocked. Assisted by Neymar.